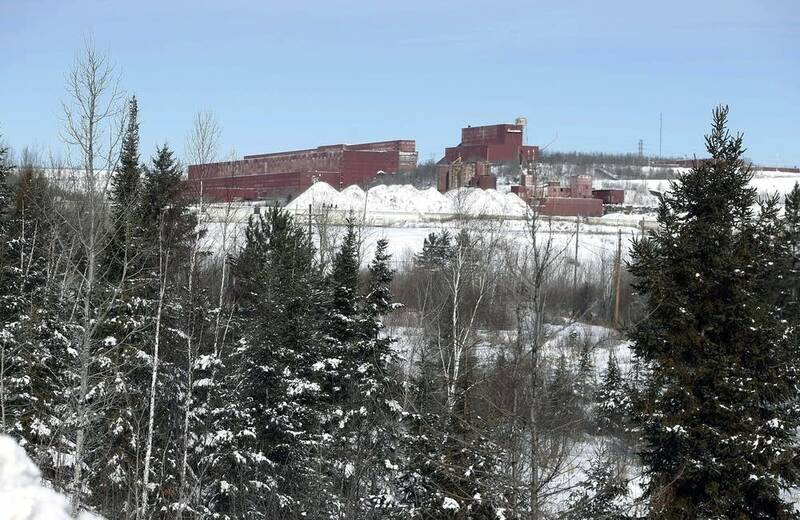 Updated: 6:41 p.m. | Posted: 3:34 p.m.
PolyMet Mining has submitted an updated plan detailing how much money it plans to make available in the event it can't pay for the proposed mine's clean-up. The so-called "financial assurance" is a major step in the company's more than decade-long effort to build the state's first ever copper-nickel mine in northeastern Minnesota. Think of financial assurance as a damage deposit. A landlord hopes that deposit will cover any repairs needed after a tenant moves out. The state of Minnesota hopes financial assurance would protect taxpayers from future cleanup costs at PolyMet's proposed mine and processing site near Babbitt and Hoyt Lakes, Minn., if the company were to go bankrupt or couldn't do the work itself. The company's updated plan provides for $75 million during the first two years of construction. Most of that would cover legacy pollution issues at the old LTV Steel taconite mine and processing plant PolyMet plans to repurpose. The financial assurance amount would bump up to $544 million when the mine opens and the potential costs for pollution cleanup rise. Some of that will be cash — the application calls for $10 million in cash during the construction phase — but it's mostly a package of bonds and letters of credit. The amount of financial assurance is calculated to cover the cost of closing and reclaiming the mine, in addition to long-term water treatment needed to meet state and federal pollution standards. "You apply engineering standards and estimates to those numbers, and then you go and obtain the financial assurance instruments that will cover that," explained PolyMet CEO Jon Cherry. "That's basically how every state does it." And then every year, the financial assurance amount is recalculated, and approved by the state. "We believe this is the last thing that the state has been looking for before they can move forward and complete this process and then put it out for the public to comment on," said Cherry. The Minnesota Department of Natural Resources will now review the application. Ultimately, the state decides the level of financial assurance required, and how that should be structured. "What we look at there is we look at the credit worthiness of the underwriters, we look at making sure we have a diverse mix of underwriters," said Assistant DNR Commissioner Barb Naramore. "And the other piece that's critically important is this mix of cash, and letters of credit, and bonds, they need to be bankruptcy proof." Naramore said it's critical that the state would have immediate access to enough money to begin any cleanup or water treatment that's needed. PolyMet's new financial assurance plan provides about $200 million more than the initial estimate included in its first permit-to-mine application submitted about a year ago. The company said the updated proposal is the result of numerous discussions with the state. But it's still about $400 million less than what some environmental groups have called for. Those groups said they needed more time to digest the 4,000-page document before offering substantive comments on PolyMet's updated plan. Steve Morse, executive director of the Minnesota Environmental Partnership, said at quick glance it seems like a step in the right direction. But it's too early to say whether it does enough to mitigate the risks of this kind of mining in water-rich Minnesota. He also expressed concern that PolyMet is only proposing to initially set aside $10 million in cash. "Because on most of these types of projects, the companies go bankrupt and walk away," he said. The next step is for the Minnesota DNR to release a draft permit to mine, along with any conditions it might impose on the company as part of that permit. Assistant commissioner Naramore said that could happen as soon as early January. She stressed no final decision has been made. She said there are two key goals the agency is focusing on as it considers whether to approve PolyMet. "That the environmental and public safety standards are met. And the taxpayers of Minnesota aren't on the hook for paying those expenses."